← White Wedding, Hidden Chapel Winery, Sauvignon Blanc – Viognier – Riesling, Oliver, Okanagan Valley, BC, 2011, 12.6% abv. Our Boxing Day post-Christmas lunchtime spread called for a bubbly. Out came this delicious Bernard Brémont. A grower champagne made in the traditional method in the Marne’s Ambonnay at the Champagne house of Bernard Brémont, this champagne is made from 60% Pinot Noir and 40% Chardonnay. Clear and bright and a shade of pale lemon with clear legs, the Brémont has a feathery, long-lasting mousse. It’s clean with well-constructed aromas of Granny Smith apples, lime custard, white peach and brioche. 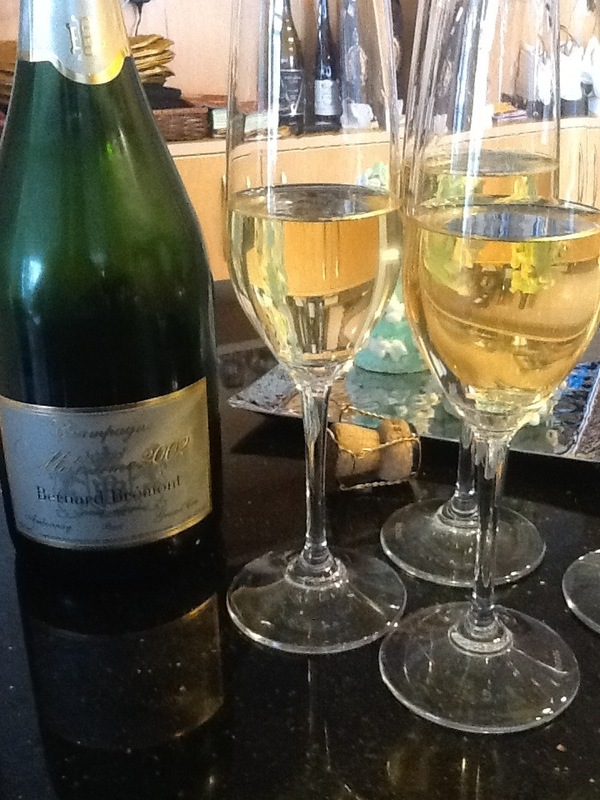 Brut dry with better than average acidity, this champagne has expressive flavours of lime and lemon zest, apple, apricot, ginger and fresh bread with a strong finish. WSET Very Good quality held in balance by complementary acidity and fruit. Drink now, or may be kept for several years, if you can resist drinking this vintage beauty (we opened it at 10 years). This entry was posted in Champagne, Chardonnay, France, Pinot Noir, Sparkling Wine and tagged Ambonnay, Bernard Bremont, brut, champagne, chardonnay, france, Grand Cru, pinot meunier, pinot noir. Bookmark the permalink.